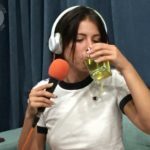 Alex More stops by,for a pretty zany Episode! She fills us in on quite a crazy upbringing that led her to the Adult industry. Mrs. More talks about her past in detail, with some stories that will have your head shaking! 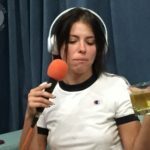 The Queen of the Podcast Hijack gets chair 3, and chaos ensues. What happens when the girls have to take a leak, in the middle of the show? Why leave the studio! Oh boy, the Episode is nutty!